PHOTO FOLDER: Larger, higher-res versions of the images used below are available in this folder. Like most organizations getting started in social media more than a decade ago, the DNR took its first step on Facebook. Some staff even remember the excitement at reaching 10,000 followers – a big milestone at the time. Today, the department's online presence has grown to include Instagram (24,500 followers), Twitter (35,500 followers), YouTube (5,100 subscribers) and Pinterest, with 2,000 monthly viewers. And that DNR Facebook page? It's now up over 186,000 followers! 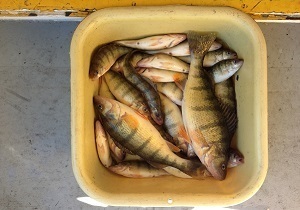 The DNR has evolved socially from simple information posts to livestream tours of state fish hatcheries and Q&A sessions with wildlife and fish biologists and conservation officers, as well as plenty of short videos that help tell the story of outdoor recreation in Michigan. 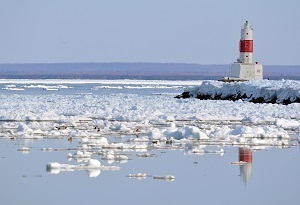 "Our social media presence gives us a great opportunity to engage with everyone who enjoys Michigan's outdoors," said Tyler Czarnopis, the DNR's social media coordinator. "We can provide insight into the important work our staff does, help people find the answers they need, and even provide a laugh or two along the way." 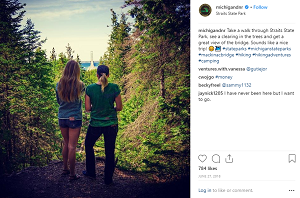 The DNR's social accounts (62 in all, including dozens of individual state park Facebook pages and a state parks Instagram feed) are among the most active in state government. Czarnopis said the DNR receives over 100,000 messages a year through the department's social channels. "With smart devices, people are able to connect with us from wherever they are," he said. "That's a huge factor in helping someone who wants to learn more about the outdoors get the tools, information and resources they need to become someone who can confidently enjoy the outdoors." Connect with all of the DNR's social platforms through the links above or at Michigan.gov/DNRSocial. Just like in the 1963 Elvis Presley movie of the same title, it happened at the world’s fair. But it wasn’t at Seattle’s Century 21 Exposition – where the hip-shakin’ King of Rock-n-Roll not only sang and grooved in the movie, but also starred as a pilot who flew a crop-dusting plane – it was instead in Chicago, in 1893. Now that last week's deep freeze has passed, it's a great time to get outdoors and enjoy some winter fun, like hiking, ice fishing and snowshoeing! Check out our winter activity calendar and get inspired. Steelhead fishing, turkey hunting, Hard Water School -- all of these and plenty of other hands-on learning opportunities coming up in the next few months at the DNR's Outdoor Skills Academy. Find your class and sign up today. Invasive plant and animal species pose a real, serious threat to Michigan's woods and water. Would you know one if you saw it? Learn more about what to watch for (and how to report the invasive pests you do find).